If you want to truly get yourself know, it is a must that you do as many live shows as possible. 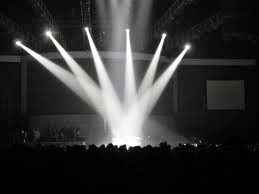 When you perform live, you are putting your music, your brand and your act out there for everyone at the show to see. Each and every one of them in the audience is a potential music buyer. Also, do not just perform at the same clubs every week, branch out and to other places and keep expanding to different counties, then different states. You will soon see that you will build a strong fan base no doubt. Another plus is that you can sell merchandise at each show!